Animal Wildlife | Black Widow Spider | There are three main species of black widow spider, all of which have very similar characteristics and inhabit areas in Northern America and parts of Mexico. 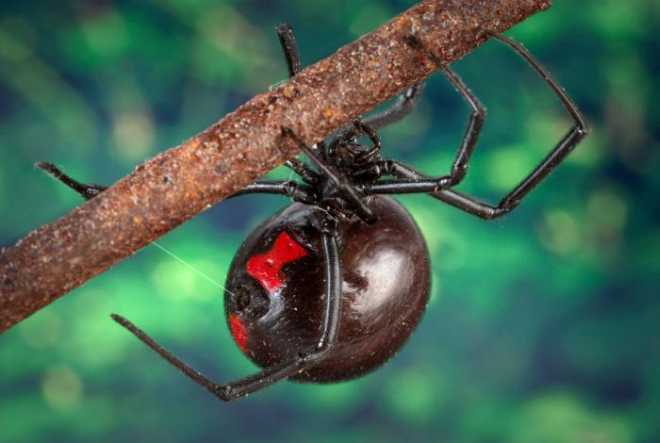 Until very recently all three species of black widow spider were classified as one but recent research shows that as the species inhabit different areas, the three species of black widow spider have adapted to their environment in different ways. 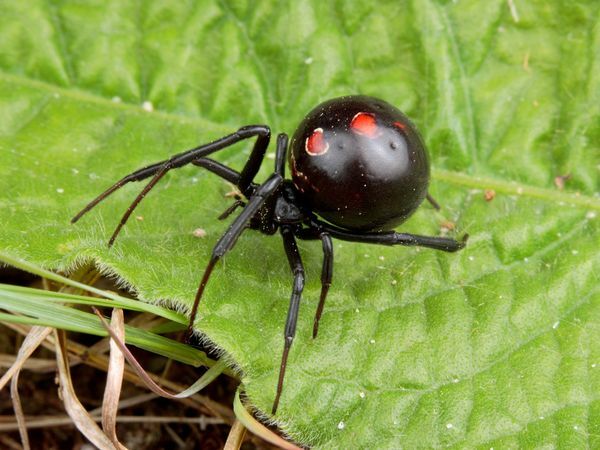 The Northern black widow spider is primarily found in the north east of the USA and parts of south east Canada, although the range of the northern black widow spider overlaps with that of the western black widow spider a great deal. 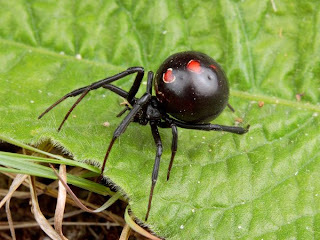 The Western black widow spider inhabits areas of the western USA, Canada and parts of Mexico, although these western black widow spiders are often confused for the False black widow spider in Canada. The Southern black widow spider is found throughout the states in south east America from Florida right up to New York, and are also found more west towards Texas and Arizona where the black widow spider is said to run rampant. The black widow spider typically preys on a variety of insects, but occasionally they do feed upon woodlice and other arachnids. 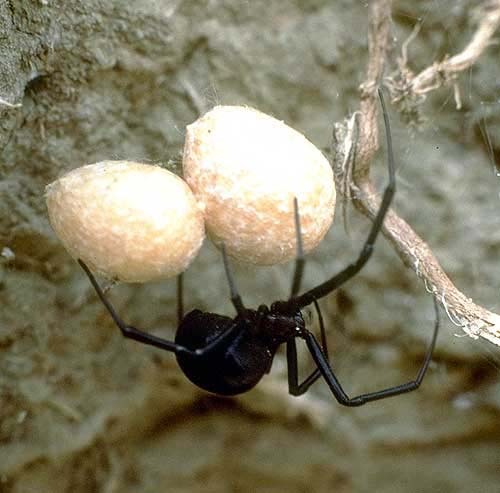 The black widow spider waits until prey has been trapped in its web before they quickly run out of their den, wrap it up and bite it. The venom from the bite of the black widow spider takes about ten minutes to take effect so the prey is held tightly by the spider. When the prey of the black widow spider has stopped moving, digestive enzymes are released into the wound where the black widow spider originally bit it. 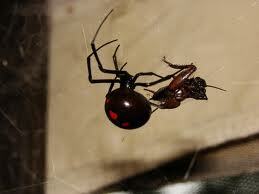 The black widow spider then carries its prey back to its retreat before feeding. The black widow spider, although small, has extremely dangerous venom that is said to be more potent than the venom of a cobra. 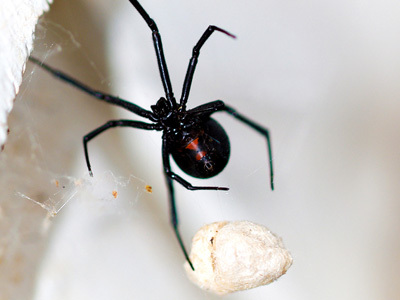 It is rare for a healthy human adult to be injected with a fatal dose of the venom from a black widow spider, and generally bites will result in a large swelling around the bite and will cause the human to experience nausea, muscle aches and breathing difficulties. 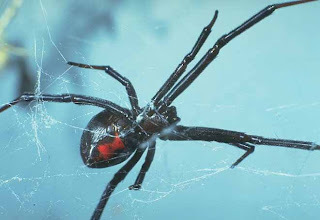 The greatest amount of human deaths by spider have been caused by the black widow spider, mainly due to the enormous geographical range that is inhabited by the black widow. These instances have dramatically increased with the development of antivenin and more effective plumbing in households. 0 Response to "Black Widow Spider"